Meet Gibs, one of our volunteer pet therapy dogs! Gibs would visit our participants once a month, and bring a happy, nostalgic feeling. 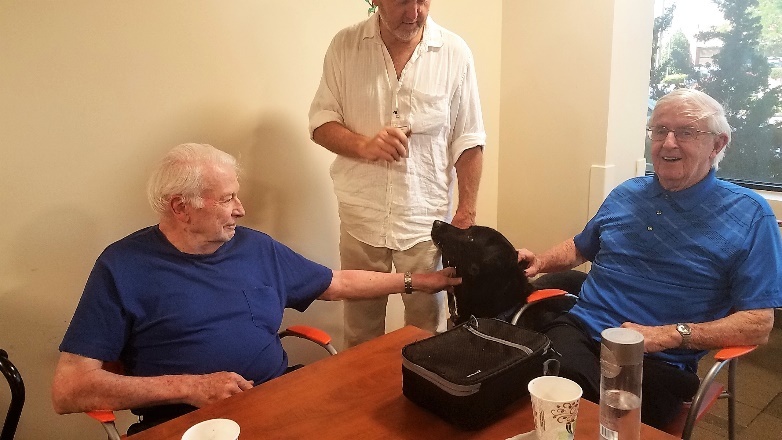 Multiple studies have cited benefits among dementia such as positive emotions, increased physical activity, lower blood pressure and decreased feelings of anxiety — all of which can further improve an individual’s quality of life, something LIAF strives to achieve. 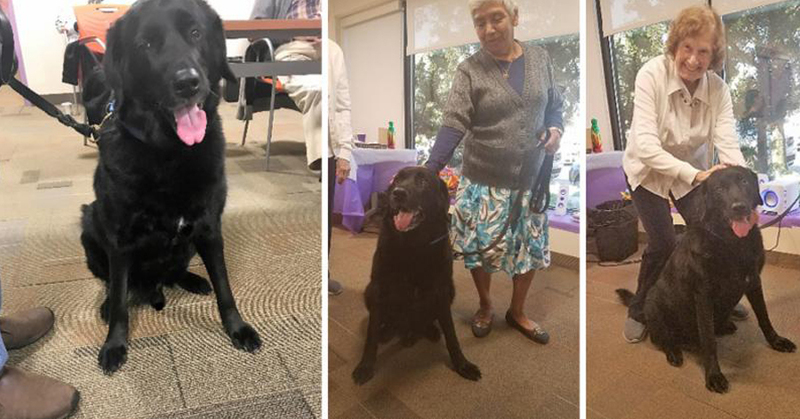 The pictures below are of Gib's last day, as he becomes a retiree. Our participants left him with some good tips for how to live a fulfilled and happy life as a retired adult. Though Gibs is retired, LIAF still continues to offer pet therapy with other dogs, such as Kiowa.